"The authors' even-handed, open-minded approach provides ample evidences for the theories they touch upon...this is a first-rate Fortean classic, fastidiously sourced, and essential reading for all students of the ABC phenomenon." "At 434 pages, it’s substantial. It’s also highly readable, nicely formatted and very well illustrated. The authors have collated a vast amount of information gleaned not only from published sources but also from interviews with both eyewitnesses and people who have examined evidence firsthand. 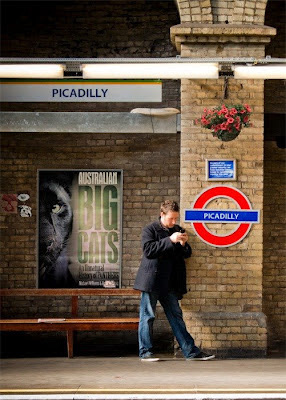 So, to anyone seriously interested in mystery animals, mystery big cats or Australian mammals in general, this book is a must-have..."
“The book is a treasure trove of research and investigative reporting on the mystery felids down under...a model of good design and ease of reading. It may be a doorstep, but the clever layout means it is far from daunting to dip into. In terms of content, it soon becomes apparent that the authors have done a thorough job in ferreting out key material, probing the main incidents, and quoting and observing the main players in the Aussie big cat saga. This clearly is a substantial and definitive book. "A classic, timeless work, back in print at last." "All credit must go to editors Rebecca Lang and Mike Williams for bringing this classic book back to life, and with the help of David's family. 'Savage Shadow' is the perfect precursor to the fantastic 'Australian Big Cats' book, and a work that has stood the test of time because its contents have been relevant for not only five decades previous, but also many years to come. "This is a gritty, swashbuckling story of people's realisation of feral big cats entering their world, and the way they came to terms with these near invisible creatures, while the authorities kept dumb on the matter and the rest of the nation just read with fascination or disbelief, or both. The authors of the equally splendid book, Australian Big Cats, have overseen this republished version. They are to be congratulated on bringing back this gripping case study. The late David O'Reilly was clearly a master journalist, and this book deserves a new profile at a time when the feral big cats in Australia and in Britain still cast their spell, good or bad, depending on your perspective, over corners of our lands, and we still wonder what, if anything, could or should be done. Nature still has the upper-hand sometimes..."